Everyone will be wearing The Hat! 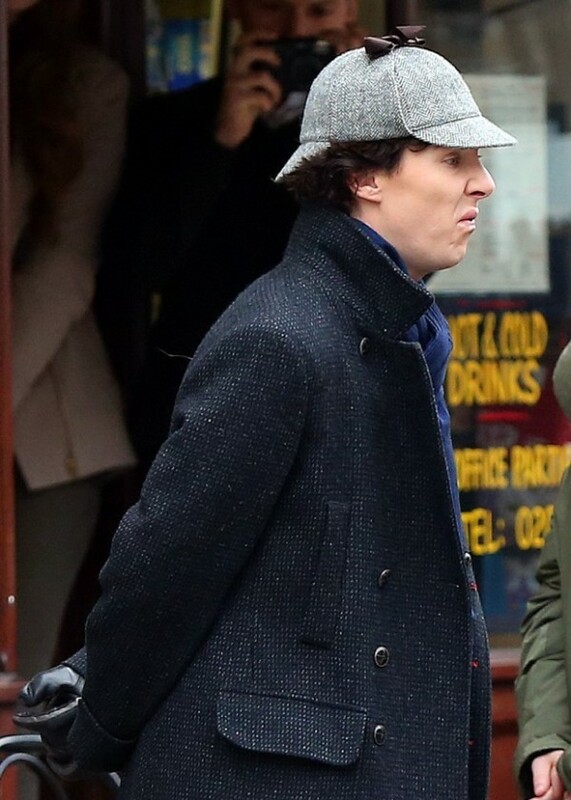 It seems everyone is wanting to see more Sherlock Holmes. And we will. More about that in a moment. First, Calling All Cosplayers who can be in the London area by 19 July! Mark Gatiss, Stephen Fry and the National Literacy Trust, along with a number of other authors and celebrities, are attempting to break the Guinness Book of Records for the largest collection of people dressed as Sherlock Holmes, 19 July, at University College London (UCL). The funds raised will go towards the Save Undershaw organization. Undershaw, the former home of Sir Arthur Conan Doyle, was saved from demolition and conversion to a golf club by the efforts of Mark Gatiss, Stephen Fry and many others, however, it’s in desperate need of repairs before it can be converted into a historical site and literary resource. They are, alas, out of outfits for those who don’t have one of their own, but donations and raffle tickets are still available. For complete information, check out this lovely article on Look to the Stars. And for another take, there’s this piece at Experdon Charity News. 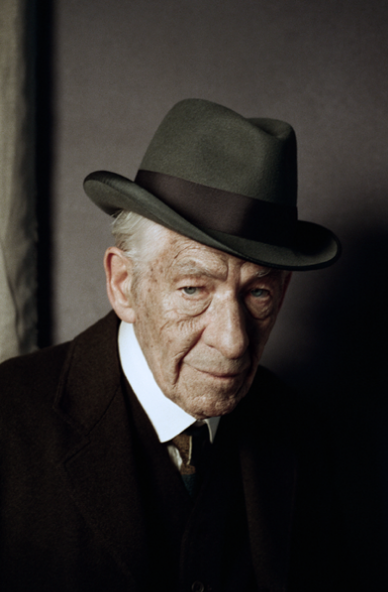 Whether you consider them magic or mutant, there’s no denying Ian McKellan is a powerful performer, so I’m thrilled that he’s portraying Sherlock Holmes in the upcoming adaptation of Mitch Cullin’s A Slight Trick of the Mind (yes, yes, book reviews coming, but that’s another time and another story). McKellan plays a 93-year old Sherlock post-WWII and I own’t spoil it for you, however, Sky.com has a nice piece on the production. Frankly, I’m looking forward to a movie with Sherlock Holmes living to see his methods universally adopted and applied. Too bad he didn’t live to see the ubiquitous CSI-clone days. Anne Zanoni is trying to get to the Loncon 3, the 72nd Worldcon, for professional (and a bit of personal) reasons but, due to medical and other life snafus, she’s hit a financial iceberg. With encouragement from friends, she’s started a crowdfunding campaign on Indiegogo called London: Magic Carpet Ride and has her fingers crossed that she can still make her London meetings and meet-ups. I think we can all relate to someone hit by the “slings and arrows of outrageous fortune” and if just 100 fans donated US$5, Anne can still make London. Considering all the support she’s given Sherlock fandom on her blog, that’s not too much to ask, so if you’ve got a spare US$5 (£3), please help. Sorry, but I already gave you your birthday gift — ME! 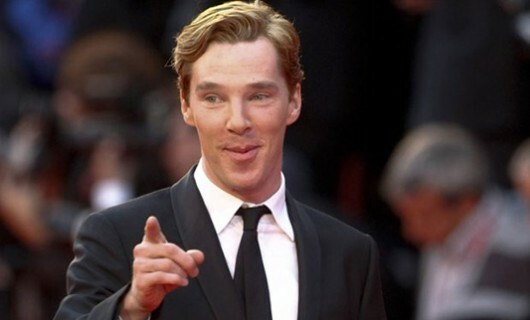 Oh, And Don’t Forget Benedict Cumberbatch’s Birthday! which brings us full circle so I’d better stop. This entry was posted in Captions, News on July 18, 2014 by JH Watson.